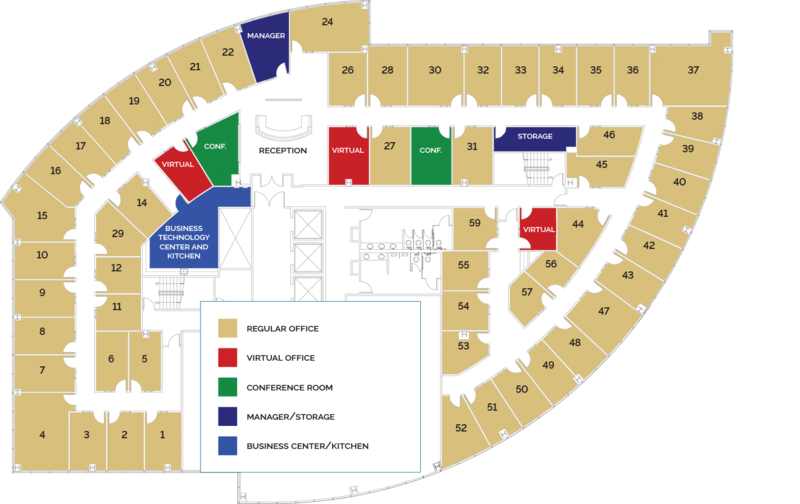 Below we present to you our floor plan with its office suites, conference rooms and virtual offices. Added to this is a 3,500 square foot common area where you can take advantage of our reception and mailbox services. We offer a full kitchen with a microwave, coffee machine, and refrigerator, as well as filtered water whenever you or your guests need it.